Posted July 25, 2011 by William Martin & filed under Galleries. 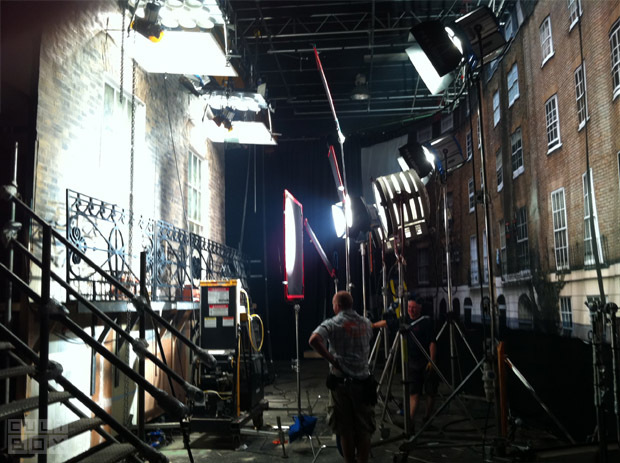 A new photo from the set of Sherlock ‘s second series has been revealed by executive producer and writer Steven Moffat. Set to air on BBC One this Autumn, the three new 90-minute films have been filming in Cardiff and London since May. Series 2 Episode 1, titled ‘A Scandal In Belgravia’, is currently being shot by returning director Paul McGuigan. > Follow us on Twitter to get the latest Sherlock news and reviews first.